Arkansas Baseball Encyclopedia | "Eighth Game of the 1985 World Series"
The "Eight Game of the 1985 World Series" was an exhibition game played at Ray Winder Field in Little Rock, AR on April 5th, 1986. The exhibition game was between the St. Louis Cardinals and the Kansas City Royals. The game was billed as the "Eighth Game of the 1985 World Series" because it was the first meeting of the two teams since the 1885 World Series. St. Louis won the exhibition by a score of 5-3. Mike LaValliere and Jack Clark each homered for St. Louis, while Dennis Leonard homered for Kansas City and was the losing pitcher of record. Rick Owenbey was the winning pitcher for the Cardinals. 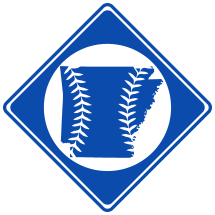 Professional Baseball » Professional Baseball » Professional Baseball Miscellany » Professional Baseball Exhibitions in Arkansas » "Eighth Game of the 1985 World Series"